"25% of all ships caused 51% of marine accidents and one reason behind these accidents is seafarers' fatigue at sea!" 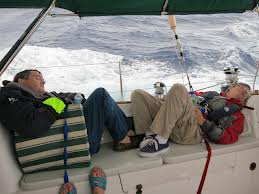 The sailing industry is well acquainted with the increase of sailors fatigue at sea. All shipping personalities and decision makers are well-aware of the damages that it may cause to the life span of the human as well as to the environment. When you stay away from home for long period, have limited communication and consistently high workloads on sailors are the reasons, which are traced to cause seafarers' extreme tiredness. This may further lead to performance reducing, environmental damage and ill-health and reduced life-span of highly skilled seafarers. Healthy crewing and safety at sea are other issues but not the least, which will obviously suffer. Physical and mental fatigue are the two types. Loss of productivity is the primary symptom and at its earlier stages which follows by accidents within the ship or cause groundings, collisions even to the extent of sinking of ships at the advanced stages. Research and literary review, although less, illustrates 'fatigue' as a major problem allied with excessive work hours, odd shift pattern, poor sleep quality, negative environmental factors, high job demands and high stress. Adverse work condition, health disorder, frequent port visits are also some documented factors nurturing tiredness. The outcome of this at sea is increased human error boosts the risk of collisions, groundings and risk of personal injury and injury to others. Usually, ships with age of more than 15 sea years may face marine accidents as there are more possibilities of machinery failures. 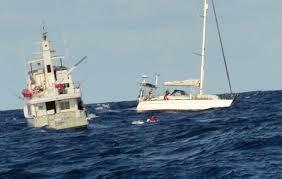 In such yachts and ships, panic workload increases seafarers' exhaustion. 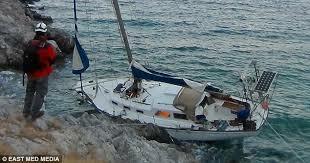 Sometimes, small shipping companies minimize their expenses by appointing less seafarer in poorly maintained ships. This causes fatigue of seafarers and finally led to marine accidents due to human error. 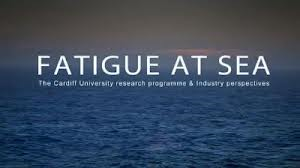 A lot of statistical review findings reveal close connections between fatigue and accidents at sea, caused from less manning and long working hours. In recent years, many accidents have occurred because of crew errors who were suffering from physical difficulties. 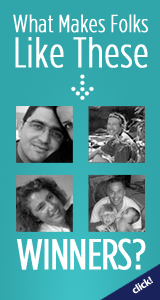 These physical difficulties also lead to mental health issues like anxiety, depression and sleeping disorders. Researches also find that the current working conditions of sailors, especially under manning, have increased the risk leading to fatal injuries and consequences. Currently, it is the most severe and widespread factor that the sailing industry is facing and there is a strong need to create awareness on this issue. The industry should emphasize fatigue as a serious health and safety issue. The manning levels should be approached in a realistic way. Ships and yachts that are poorly maintained with insufficient sailors or sailing solo should not be allowed to sail as well as the rest period of seafarers should be lengthened. Additional burden of paperwork related to security issues should be minimized. Proper training and guidance regarding avoidance of fatigue should be offered and this should be supplemented with the healthy working conditions on board. Finally, an urgent holistic approach to solve out the problem of fatigue is needed that can benefit the industry as a whole.